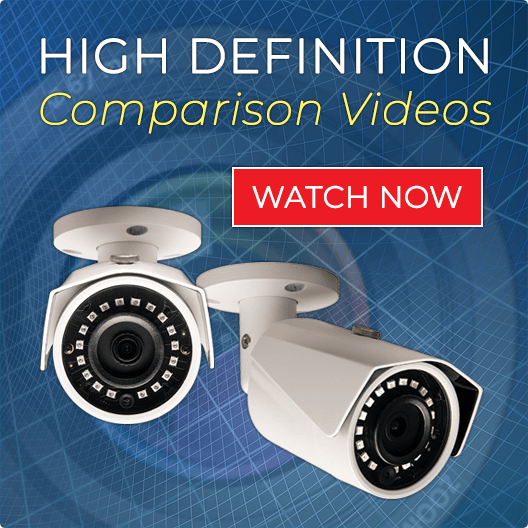 Analog CCTV cameras have been the industry standard for decades, and with good reason. They’re reliable as well as easy to install and operate. If you are replacing a camera from an older system, chances are that these are the cameras you are looking for. These CCTV cameras are compatible with all Standard Power / Video BNC (round) connections. When combined with our Digital Video Recorders you can easily watch your cameras remotely live and review past video on your PC, Cell Phone, or Tablet. CCTV Security Pros provides a selection of analog security cameras to meet your needs and budget. As a leading provider of commercial grade security camera systems, we are the go-to experts for both old and new security technology. Analog CCTV Security Cameras (otherwise known as "BNC" Analog High Resolution Security Cameras) can achieve very clear high resolution video. For analog cameras, the higher the lines of resolution, the better the clarity. We offer analog CCTV Security Cameras and Systems with up to 1000 lines of resolution. Our analog cameras offer a wide range of options to meet your security needs, including weatherproof housing for rugged outdoor use, wide dynamic range viewing, night vision, adjustable focal range and easy-mount design. 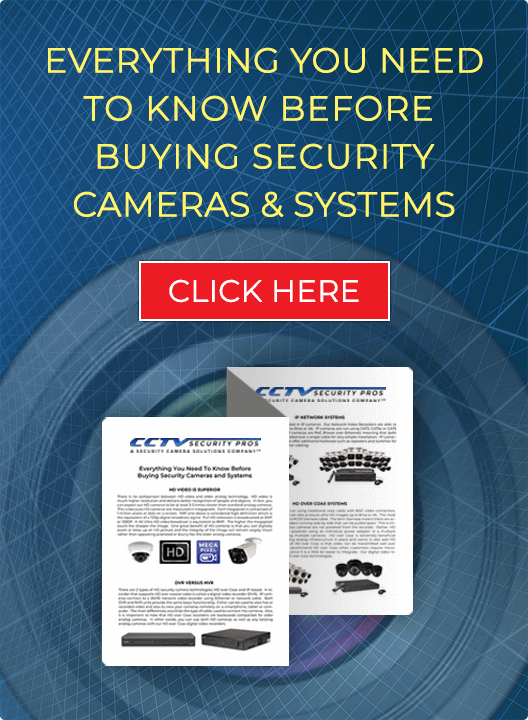 Browse our selection of analog CCTV cameras like the cost-effective High-Resolution Analog Infrared Bullet Security Camera with night vision for broad area surveillance or the top-quality Varifocal Adjustable Indoor Dome Security Camera that comes with a 3-year warranty and a satisfaction guarantee. We provide hassle-free consultation to help you choose the right analog camera system for your home or business. Our experts are available to help you find the right hardware, as well as for assistance in every stage of setup and maintenance with free USA based technical support. Contact us online or call us today at 888-653-2288.